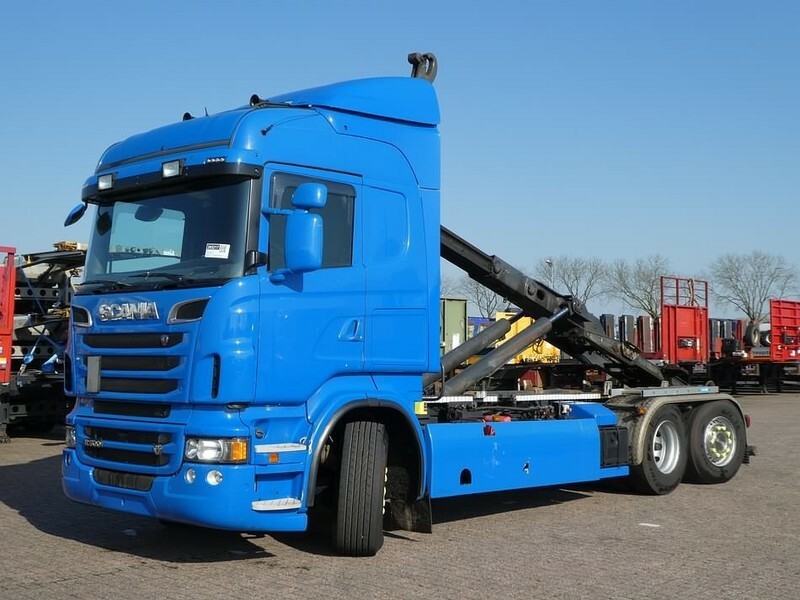 The detailed specification of SCANIA R 500 hook lift truck is provided below. Engine/driveline: Euro 5, diesel, 500 hp, engine: SCA, gearbox: automatic, transmission: Automatikgetriebe. Wheel formula and suspension type: suspension: spring/air, 6x2, number of axles: 3, lift axle, steering axles, wheel base: 4700 mm, brakes: disc, dual wheels. The payload is 14150 kg.